Modernization has undoubtedly changed even the most trivial things in daily life and fashion is one of those aspects, which has seen a tremendous change. Fashion influences our choice of accessories and clothing. With a sound fashion sense, it is also necessary to choose clothes that give comfort and allow free movement. Eventually, comfort and style go hand in hand, describing the personality of an individual. And, clothing also shows the comfort level and consequently, the confidence of a person. When we talk about Islamic clothing, not only are they required to look modest and conform to the established norms of Islamic attire, but they also need to look sophisticated. Designers have come up with the perfect blend of tradition and fashion, while creating clothes for the Muslims. There is a lot to choose from in case you want to wear Muslim western clothing that is fashionable yet modest. Islamic t-shirts even look cool on men and is something different from other common Islamic men's wear like thobe, dishdashas and all. 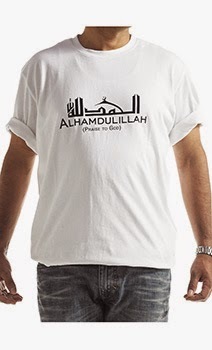 But the problem sometimes is from where to get such clothes, as not every online Islamic store provides t-shirts. I've seen these t-shirts only at eastessence till date.